In order to do this the Church needs to change the god they’re worshiping, otherwise the new creatures they’ll become is nothing but a remix of what they already believe. 1.True conversion happens instantaneously when we accept the Jesus of the Bible into our hearts. 2.As we walk with the Lord in truth, our lives do in fact change because God’s Holy Spirit has taken up residence inside of our hearts. It’s shocking the Church is using biblical scripture as their resource. We’re wondering if they’ve had a sudden change of heart regarding its trustworthiness. If so, they’ll have to ditch their 8th Article of Faith declaring God’s word is corrupt. 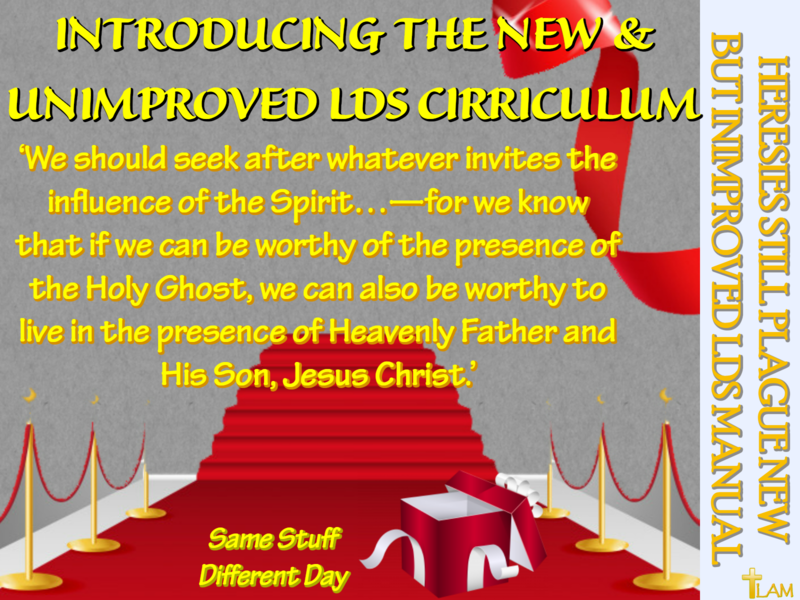 Again, another LDS doctrine will need to be denounced. Their canon says the Mormon Holy Ghost isn’t God, and he can get up and leave whenever he (it) chooses to do so. And there it is – the truth of who they worship can clearly be seen in the final sentence of this lesson in their brand new teaching manual. That is NOT in the vocabulary of a true believer my friends. And neither is, ‘if we can be worthy of the presence of the Holy Ghost’. True Christians don’t speak this way because it isn’t biblically sound! No one is worthy – thus the need for Jesus! When you accept Jesus as God and your Savior, God’s Holy Spirit comes to reside inside your heart, and then we’ll be worthy to be in heaven in the presence of God and His Son, Jesus Christ. Be sure to ask the Mormon you know about these things!